The Finch Group assumed the ownership and management of Longwood Apartments (“Longwood”), the predecessor apartment complex to Arbor Park, in January, 1999. Longwood was then a severely distressed 820-unit residential property, originally constructed during the urban renewal era in the mid-1950’s. The term “severely distressed” perhaps understates the reality. Longwood’s future in late 1998 was, at best, problematic and uncertain. The prevailing community and resident fear was that the property would be foreclosed upon, vacated, and demolished by the U.S. Department of Housing & Urban Development, leaving raw land in its place and a gaping hole in the middle of a major neighborhood redevelopment initiative. Fiscally – According to its audited financials, the property had lost $3,636,292 in the two prior years. Physically – There existed an estimated 4,800 significant outstanding health and safety code violations. Criminal and civil complaints against the property partnership owner and general partner were outstanding. Obsolete – Even if substantial funds were spent to correct the code violations, Longwood’s overall site layout, building design, building systems, unit size and unit mix made it obsolete. Starting in January, 1999 TFG worked closely and successfully with many stakeholders and interested parties, including the residents, former Governor Bob Taft, former Senators George Voinovich and Michael DeWine, current Senator Sherrod Brown, the former Cuyahoga County Commissioners, Mayor Frank Jackson, (who, when we started, was the Councilman for Ward 5), current Ward 5 Councilperson Phyllis Cleveland, former Director of Community Development Linda Hudacek, Director of Community Development Daryl Rush, Cuyahoga Metropolitan Housing Authority, HUD, Fannie Mae, Cleveland Tenant’s Organization, Cuyahoga Community College, numerous employees of the City of Cleveland, Cleveland and CMHA Police Departments and other Central neighbors. A steering committee was established, made up of representatives of the above mentioned individuals and entities, called The Longwood Group. Its purpose was to be a public forum to provide direction for the redevelopment process and garner support for the challenging work involved. This was important because of the conspicuous and sensitive nature of the undertaking, and the estimated cost to the public, TFG wanted to make sure that each step of the process was subject to significant public scrutiny and input. To develop a plan, scope of work, and funding mechanism for dealing, over the shorter-term, with the existing property substandard conditions and management deficiencies. To prepare a well-researched, well-documented, and comprehensive plan for the long-term reclamation/replacement of Arbor Park Village as an affordable housing resource for the benefit of the City of Cleveland, the Central neighborhood, current residents, and low and moderate income families. Arbor Park Villa’s redevelopment reduced the number of units from 820 to 629 units but increased the number of bedrooms to fit the current needs of the residents. It was originally programmed to be built in a four (4) phase schedule. The relocation process and construction proceeded so smoothly that it was reduced to three (3) phases. In 2015 Phase 1 is 13 years old, Phase 2 is 12 and Phase 3 is 10 years old. It takes a lot of hard work to maintain, but the property looks as good today as when the rehab was completed. Arbor Park has averaged 98% occupancy and we are also pleased to report that over 25% of its residents are original ones. For low income housing in the Central Neighborhood, we think this stability is both remarkable and a testament to the quality of Arbor Park’s overall housing environment. The most recent, average REAC scores for the three phases was 92. 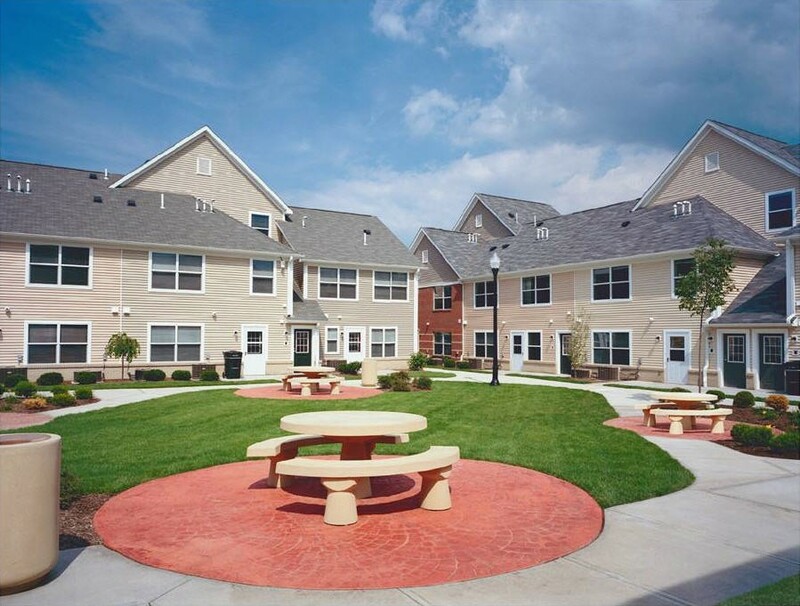 While the current catch phrase “Choice Neighborhoods,” which HUD uses to define its commitment to utilize housing as a platform for improving resident families quality of life by coordinating housing with excellent education and health care, may be relatively new, it embodies the concepts that The Finch Group has implemented at Arbor Park for over a decade. A total rehabilitation and upgrade, at a cost of $120,000, of its onsite Computer Learning Center including the Center’s twenty computers to state of the art technology. Pledged $40,000 per year for an initial period of three years to Tri-C Community College to pay for a mentor/teacher/tutor to provide daily instruction at the Computer Learning Center. Working with the Cleveland Foundation pledged up to $100,000 per year for three school years (commencing with September, 2012) to the Stepstone Academy, a unique Charter School located at 2121 East 32nd, one of the first charter schools in the U.S. to integrate aspirational, no excuses culture with a wide array of learning supports and family guidance. The financial commitment is to provide financial support to the school for the education of children living at Arbor Park who attend Stepstone. Additionally, TFG provided funding for a summer camp program for Arbor Park kids attending Stepstone and for after school tutoring during the school year. TFG created and completed over one half of a $2.5M physical improvement program at Arbor Park with a focus on energy and water use efficiencies. TFG installed a new state of the art security system utilizing an optical fiber backbone and high definition panoramic cameras capable of 180° and 360° coverage throughout the property. In coordination with Case Western Reserve University’s School of Medicine Weatherhead Institute for Family Medicine and Community Health and the CARE Alliance, TFG pledged $150,000 of funding over three years for the implementation of a Medical and Educational Clinic for the residents of Arbor Park, that has provided free services. TFG implemented a new staff alignment dedicated to working with the residents in explaining the necessity of certain governmentally mandated resident filings. This new direction was to affirmatively and proactively meet with every resident and clarify the Federal and State requirements for occupancy at Arbor Park. 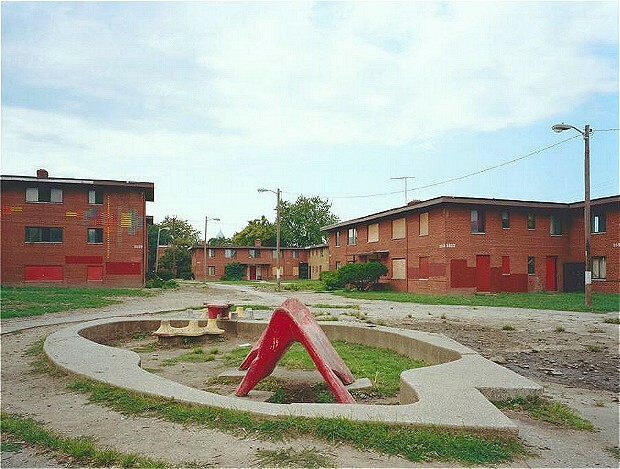 Today Arbor Park is an award winning (Congressional Black Caucus, HUD Best Practices Award, City of Cleveland Development Recognition) 629 unit (low-income tax credit) quality housing resource and a huge success for the City of Cleveland and its Central Neighborhood.